Whether at the local watering hole in Virginia, an aprés ski bar in Colorado, a BBQ joint in Texas or a high-end Manhatten roof deck restaurant, you are likely to find a common menu item with great regular across these very different dining atmospheres: Crispy wings or baked chicken wings. As we prepare for this week’s big game, there is no better time to dig into the history of wings. Why? 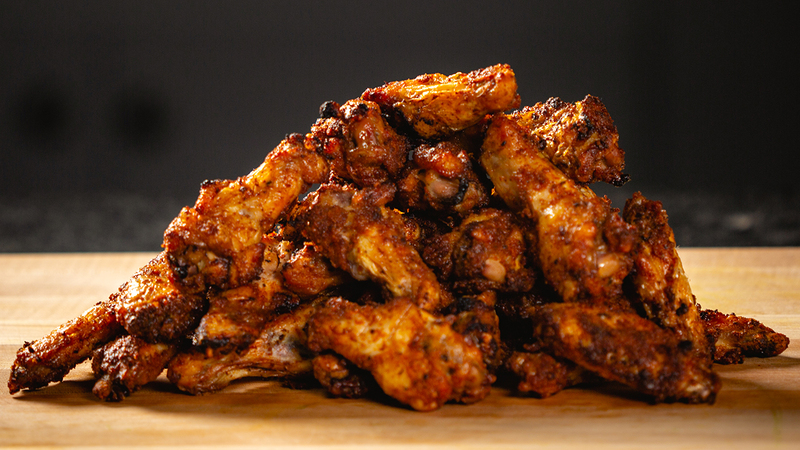 This weekend, Americans are expected to eat more than 1.38 billion chicken wings. That’s right, BILLION, that is enough to circle the globe three times! The history of chicken wings — and Buffalo wings, in particular — begins, like many tales of culinary success, with a period of neglect. For most of the twentieth century, chickens were sold whole, that is when they were sold at all. Chicken, you see was not nearly as popular a source of protein as it is today. Not only was chicken not as readily available as it is today, but it was not nearly as convenient as steak or pork. From the early 1900s to today, the amount of chicken consumed by the average American has increased six-fold. As the chicken industry was growing, the pork and meat industries were beginning to struggle for the first time. In particular, red meat was perceived to be dangerous to your health, leading consumers to flock to chicken. Because of how quick and easy it is to cook chicken breasts — versus the whole chicken — a massive surplus in chicken wings and drumsticks ended up being sold to restaurants and bars. One of the most important events in this history of the chicken wing occurred at the Anchor Bar in Buffalo, New York. Fried chicken wings were a standard dish in some parts of the country, but they were never as popular as the spicy chicken wings created by the Bellissimo family, owners of the Anchor Bar, in the 1960s. According to lore, Teressa Bellissimo, the matriarch of the family is responsible for the creation of the hot wings, which, as they are commonly prepared today, were split into two pieces, cooked, and then smothered in a spicy sauce combining red pepper, butter, and hot sauce. However, the actual invention of what are today known as Buffalo wings by Mrs. Bellissimo was contested by her husband, Frank, and his son Dom. Frank claimed that his wife came up with the dish late one night when the bar had accidentally ordered too many chicken wings. Dom, their son, told folks that the idea of the original Buffalo wings arrived in a fit of inspiration when Dom and his friends were seeking a late night snack from Mrs. Bellissimo. Today, there are more are more variations and tasty interpretations of Buffalo chicken wings than the Bellissimos could have ever imagined. One of our favorite, easy baked chicken wing recipes — a delicious Chef Yankel creation — is below. Enjoy with Chef Yankel’s dip, blue cheese, or ranch dressing while watching the big game this weekend or anytime. 1. Mix all dry rub ingredients except butter. Reserve 1 Tbsp of dry rub for the dip. 2. Pour dry rub over wings and mix well. 3. Place wings skin-side up on wire rack and baking sheet, and refrigerate uncovered for one hour or overnight. You can skip this step and go straight into the oven on game day, but that hour in the fridge really helps with crispness! 4. Preheat oven to 425°F. Melt butter and brush gently over wings. 5. Bake chicken wings in oven. After 25 min, carefully open oven just enough to let some steam vent. Cook for 20 more min, or until skin is crispy, and meat thermometer inserted into thickest part of chicken wing without touching bone reads 165°F. 6. Mix all dip ingredients. This can be done a day or two in advance for maximum flavor. 7. Enjoy the best wings ever!